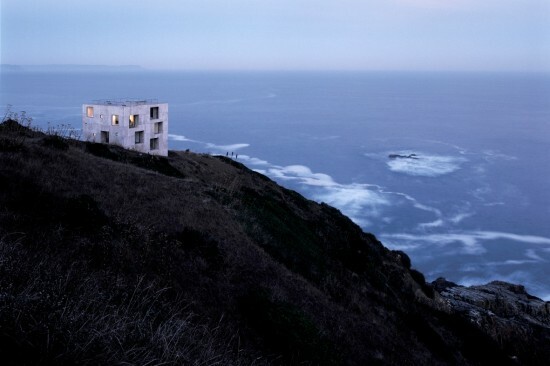 After traveling all over the Western Hemisphere to inspect built work by emerging architects from Canada to Chile, a team of judges awarded the first-ever Mies Crown Hall Americas Prize on Tuesday, bestowing $25,000 and an offer to teach at the Illinois Institute of Technology (IIT) on Mauricio Pezo and Sofia Von Ellrichshausen for their poetic Poli House, perched above the Pacific Ocean on a cliff in Tomé, Chile. The nominees for MCHAP were established designers, while MCHAP.emerge was meant for architects in the early stages of their careers. The later-career architects get their day in the sun October 22,w hen the $50,000 MCHAP award is announced. Four finalists were feted Tuesday at IIT, where they were congratulated by Denison, Arets, Rice University Architecture Dean Sarah Whiting, and Chicago Mayor Rahm Emanuel. Pezo von Ellrihshausen, a design firm based in Concepción, Chile, took home the MCHAP.emerge prize for their Poli House—a solid, earthquake-resistant concrete cube whose simple materiality and exterior form belies a series of intricately sculpted interior spaces. 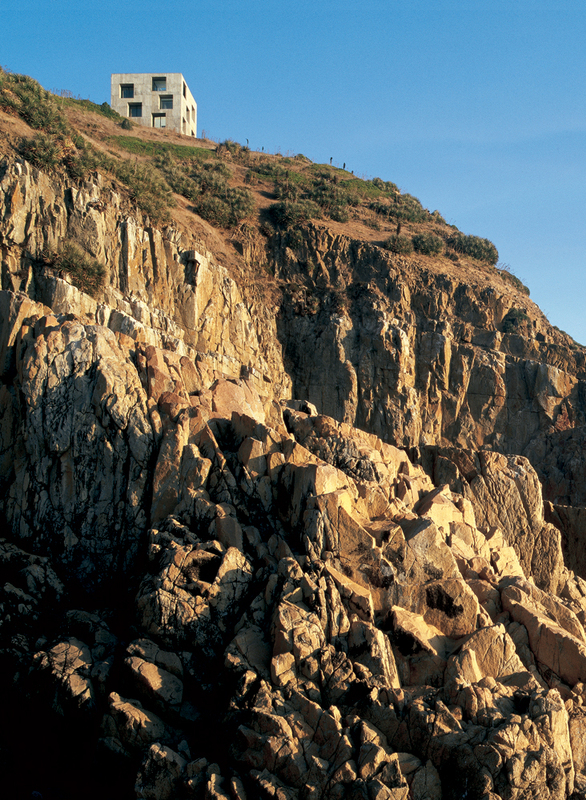 Occasional voids in the double-walled concrete perimeter punctuate the building’s rooms and passageways with stunning views of the Pacific Ocean, which rumbles below the cliffside residence and art gallery. Another Chilean project, the Kiltro House in Talca, similarly celebrated its dramatic setting with floor-to-ceiling glass spaces jutting out over steep drops in elevation. 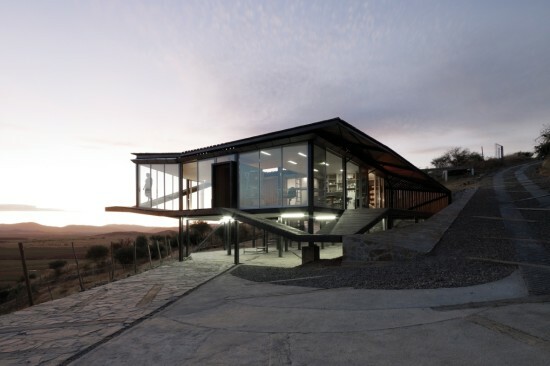 Named for a Chilean crossbreed dog, the Kiltro House took its cues from a mishmash of architectural styles, according to designer Juan Pablo Corvalán. With Gabriel Vergara, he heads Supersudaca architects. A Farnsworth-esque glass box cantilevered from a hybrid of various residential styles—including a castle included for a client who fancied herself a princess, Corvalán said—lifts up a roof whose undulations reflect the underlying topography. 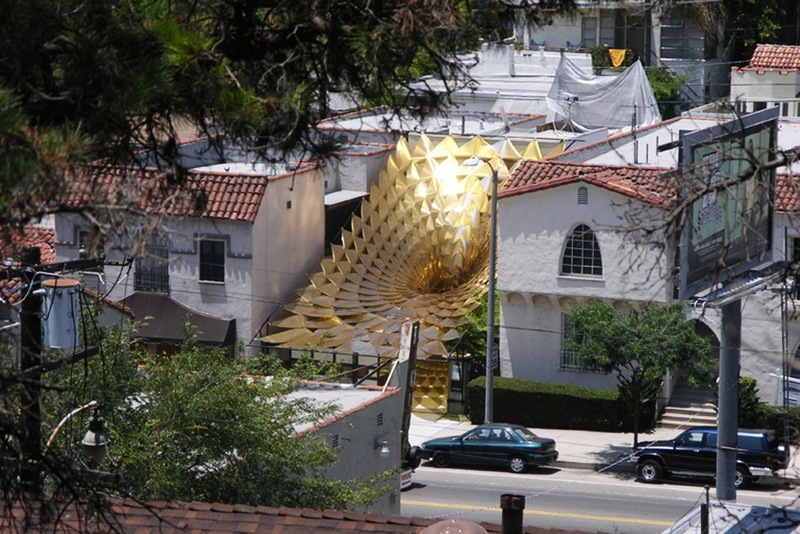 Farther north, in Los Angeles, architects Benjamin Ball and Gaston Nogues won recognition for Maximilian’s Schell, a golden vortex that hovers above a formerly vacant lot in the Silverlake neighborhood. Inspired by the Disney flop “Black Hole” and the minimalist surfaces of architect/engineer Frei Otto, the installation creates “both an intimate experience and a spectacle,” Ball said, by transmitting geometric shadows and yellow-tinged pools of light on the ground beneath the canopy. Look up from beneath the eye of the black hole, as it were, and you get a glimpse of a “James Turrell moment,” Ball said, if the sky cooperates. Still farther north, Winnipeg, Canada’s 5468796 Architecture was asked to reactivate a downtown plaza, whose 1970s bandshell had fallen into disrepair. They went much further than a simple rehab, however, coaxing great versatility from what at first appears to be an illuminated mesh cube. 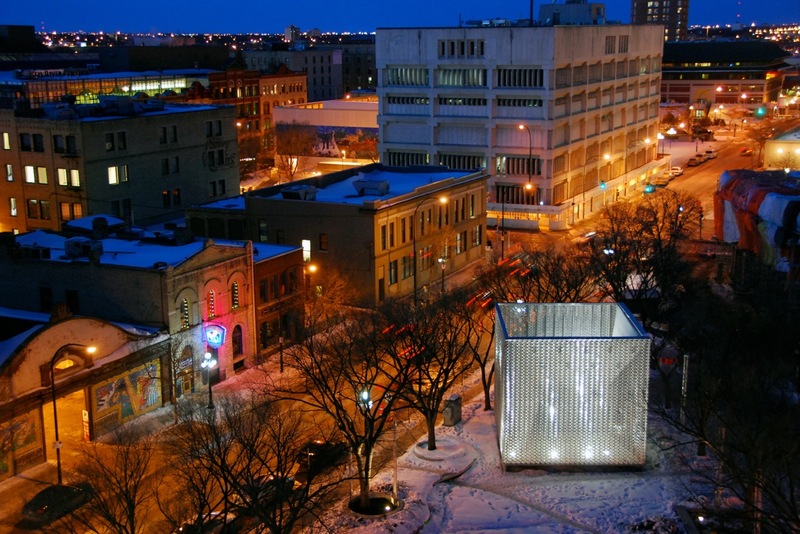 Ringed by a flexible curtain of perforated metal, the cube conceals several possible performance and event spaces, as well as what has become one of the most popular spots for wedding photos in Winnipeg. Projections from inside translate to the exterior, an effect used frequently when the cube’s metal screen is pulled back to frame the stage with an elegance surprising for its metallic heft.